CB2 has long been our go-to for contemporary design at an attainable price point. When in search of a cool brass light fixture or sleek storage solution, it’s one of the first places we check. That said, the brand’s latest collection proves it’s anything but a one-trick pony: In partnership with designer Charlie Ferrer, CB2 is launching its first-ever vintage collection. That’s right—you can now shop a carefully curated assortment of antique pieces, each of which perfectly embodies the effortless elegance CB2 has made its signature. Enter: Ferrer, a New York–based designer and fine arts dealer with a predilection for vintage items and refined eclecticism. After a mutual friend introduced him to Turf, the partnership seemed like a natural fit and ran full steam ahead. 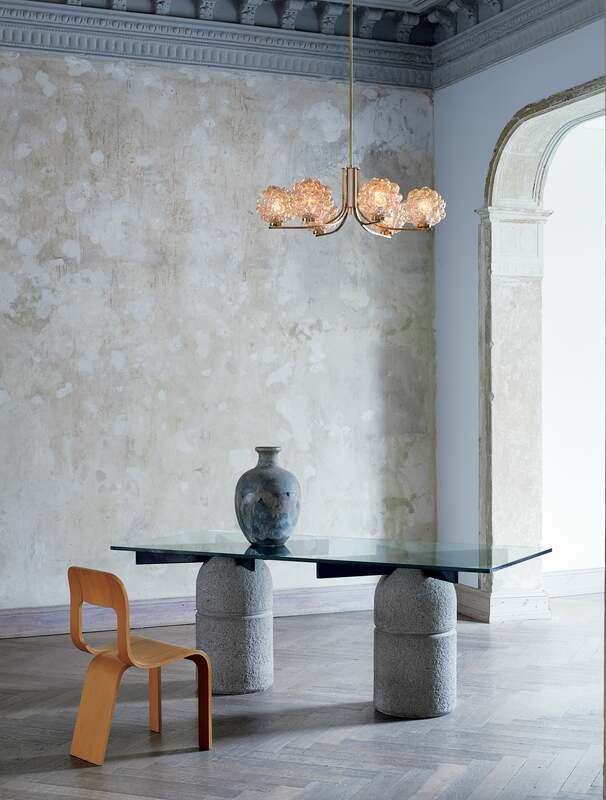 The collection includes 275 items, each of which is one-of-a-kind, cherry-picked by Ferrer and the CB2 team. The price point for the collection is minimally higher than CB2’s regular line, ranging from $60 to $11,500, but with the attention to detail that went into pulling bespoke pieces for the vintage line, it’s a warranted uptick. How much attention to detail? Every single item was handpicked during a buying trip to Europe—a three-day whirlwind through Milan, Maastricht, and Berlin. Ferrer recommends playing up this eclecticism with how you style your new vintage finds too. For example, he suggests mixing different finishes—“brass, chrome, oak, and walnut play together nicely”—and play around with scale. The CB2 x Ferrer collection officially launches today in select stores only and will continue to roll out across all CB2 stores through May. Check this schedule to see when to expect vintage goodies in your area. And remember that if you spot something you like, you better take the plunge and buy it—once it’s gone, it’s gone. One item to look out for: a 1960s Guglielmo Ulrich–designed desk. It’s Ferrer’s favorite piece from the entire collection.